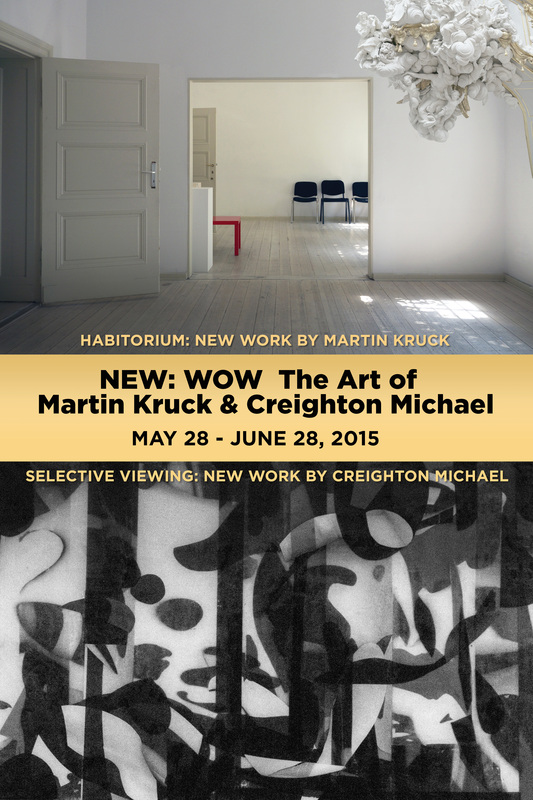 As part of ArtsWestchester’s 50th Anniversary Celebration, the OSilas Gallery at Concordia College is proud to host the exhibition NEW: WOW – The Art of Martin Kruck & Creighton Michael. Both artists have been selected to receive the prestigious 50 for 50 Award which was given to 50 of Westchester’s most recognized, most active, and most cutting-edge visual artists. This exhibition, in partnership with theArtsWestchester exhibition 50 for 50 New Works, allows for an in-depth examination of the recent work by these two artists. Habitorium: New Work by Martin Kruck is a selection of photographs depicting enigmatic worlds where man and nature collide. Each piece in this series strikes a poetic balance between synthetic and organic deconstruction – exploring the feedback loop between self-domestication and the sublime. Selective Viewing: New Work by Creighton Michael expands the definition of drawing to develop a personal vocabulary for mark-making that is expressed in a variety of media. This exhibition, a mix of drawings, paintings, prints and video create a hypnotizing dialogue that not only engages viewers visually, but also encourages an exploration of the process. Gallery hours are Tuesday, Wednesday and Thursday 12-7pm and Saturday and Sunday 2-5pm.